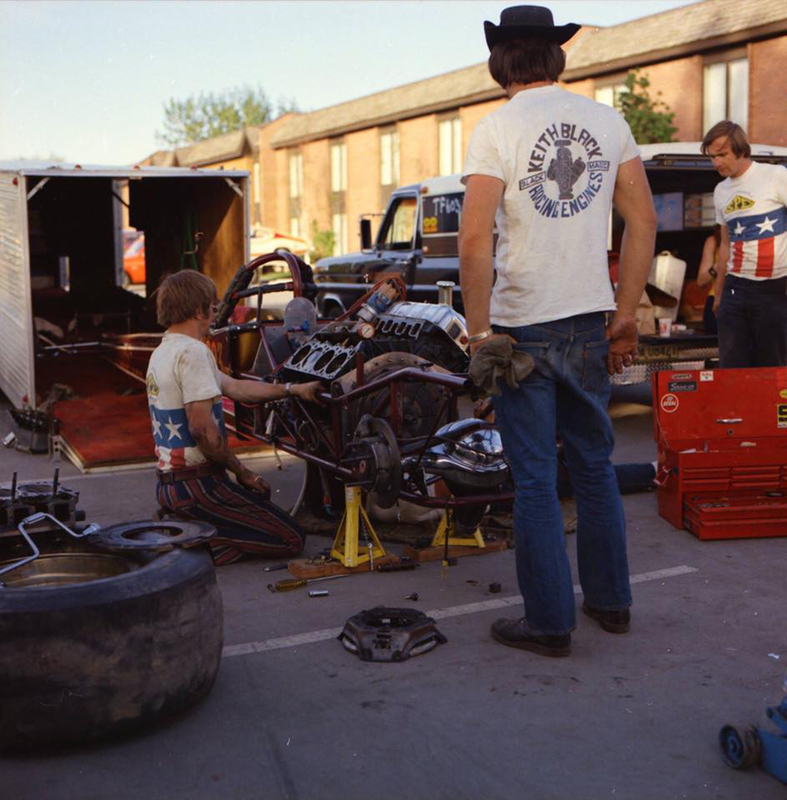 When it comes to old photos, there are few types of subject matter we love more than the motel-parking-lot dragster thrash. You know the shot: An entire car pulled apart, motor “yardsaled” across a few parking spots, trailer with its guts puked out onto the blacktop, and a few young dudes just gettin’ after it–not worried at all about the mess they’ve made. And the greatest thing about these snapshots is that you just know they left nothing but maybe an oil stain when they packed it all up and headed for the track. And here’s another one of those photos. Now, we’re assuming–based on the rear-engine dragster, the 426 Hemi, and the star-spangled Speed Products Engineering shirts–that this is the early Seventies. But who are these guys? And where is this parking lot? And is that Neil Young in a Keith Black T-shirt? Always amazed by the tribal knowledge of our readers, so drop it like it’s hot!